On this date in 1629, the German city of Mergentheim burned its late mayor’s widow for witchcraft. 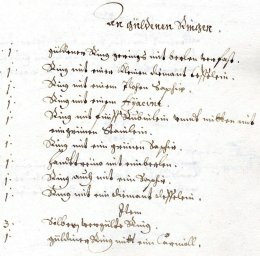 Anna’s remains: the inventory of the late sorceress’s estate taken by its new owner, the city of Mergentheim. Witch-hunting was a growth industry for Thirty Years’ War-torn Germany in the late 1620s. Not long before, a Mergentheim Teutonic knight had been petitioned for help extracting a schoolboy from Wurzburg, where the absentee father feared he was running with a devilish crowd. Once the authorities heard that witchy stuff, all the inhuman gears came to life. Instead of returning the tyke to his concerned dad, Wurzburg arrested the boy, strongarmed him into admitting his Satanic ties, and burned him at the stake. Nine years old. 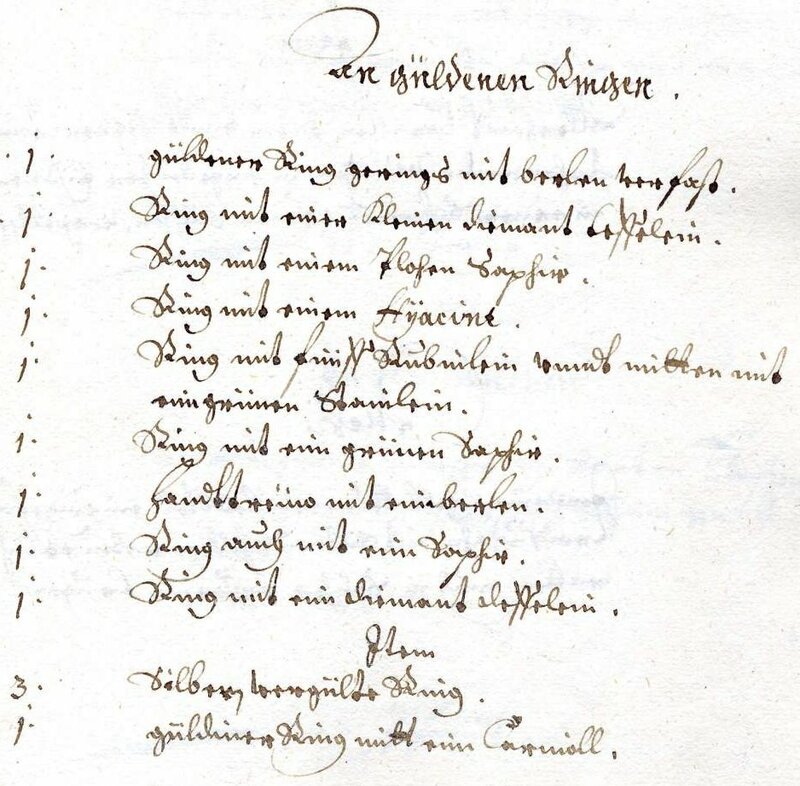 Like a fresh plague outbreak, a witch persecution broke out in Mergentheim and neighboring Markelsheim, with some schoolchildren hounded by inquisitors within a few weeks of their compatriot’s execution over in Wurzburg. From there, it became epidemic all over town. By October 1628, the first witches were shrouded in flames for their neighbors’ edification. Over the course of 1629, the peak year for the Mergentheimer Hexenprozess, 91 humans were put to death as Satanic wizards — not counting those who were tortured to death. Nor was this strictly confined to the weakest prey, your outcasts and servants. Our victim today was big game, a wealthy city elite, and she wasn’t the only such. These must have made some kind of hedgerow gossip, but the general hysteria of the place made it dangerous to sustain any public controversy even about the downfall of the recently well-connected. Midelfort, again, on the very relatable circumstance of a prosperous innkeeper who was a little too incensed for his own good at seeing Anna Gurren die. Schreiber fled town on February 1, having heard that people had started denouncing him. But he didn’t make it long. He, too, was dead by the end of May — as a confessed (just like he predicted) witch.